La Pobla de Lillet, a town in the province of Barcelona, houses two of Modernisme's most hidden treasures, the Refugi de Catllaràs and the Jardins Artigas, which were both designed by Antoni Gaudí. The town once experienced strong economic activity, with a powerful 18th-century textile industry that remained steady during the Industrial Revolution, lignite mining from the local Catllaràs and neighbouring Guardiola i Cercs mines, and the once important Asland cement factory, now lying within the municipal borders of the neighbouring town of Castellar de N'Hug, in an area known as Clot de Moro. The cement factory, with its spectacular timbrel vaults designed by Rafel Guastavino and built by Isidoro Pedraza de la Pascua, was owned by Eusebi Güell. 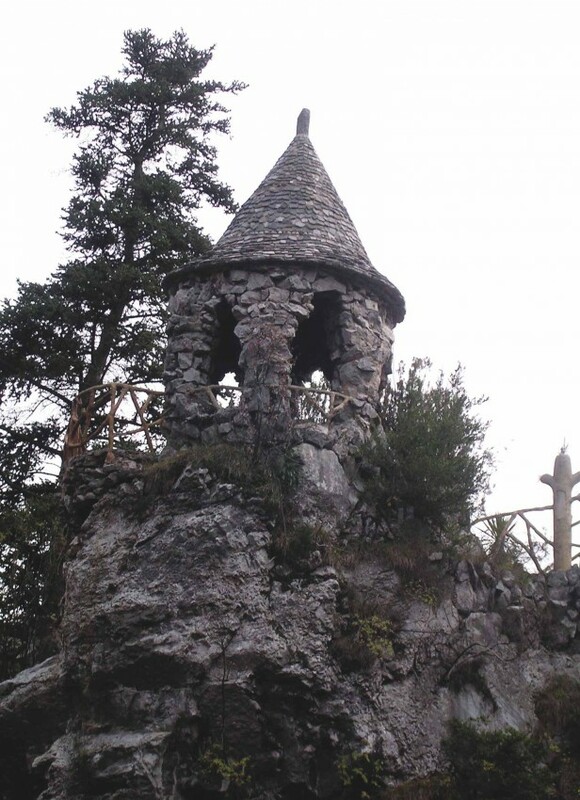 Güell had also bought the Catllaràs mines, within the town's municipal borders, and, according to the testimony of one of Gaudí's collaborators, Domènech Sugrañes, as recounted by Joan Bassegoda Nonell, the architect designed a small villa to house the engineers in 1905. The house that remains, now a summer camp building, is a compact shape inscribed within a pointed arch and originally had a double staircase entrance. Unfortunately, its most characteristic features have been lost, such as its staircase entrance and textured finishes. Gaudí was in the town briefly in 1905, on an invitation by Eusebi Güell to visit the construction works in Catllaràs. 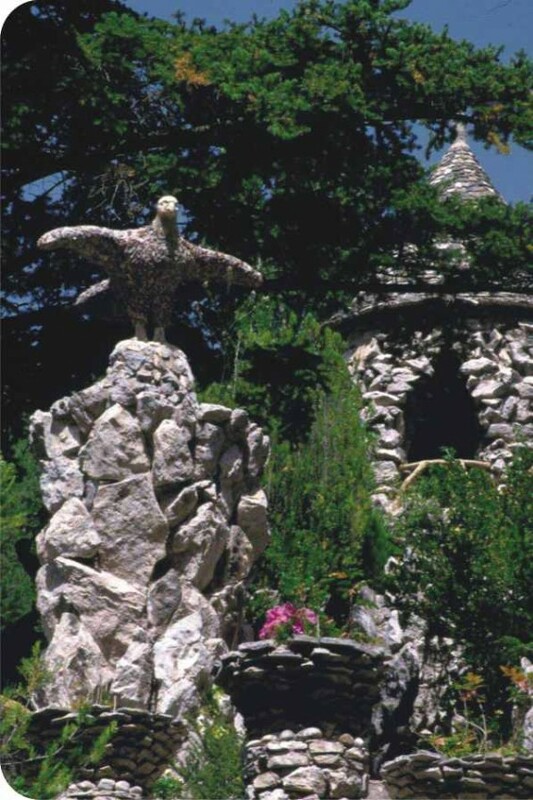 He stayed in the house of the industrialist Joan Artigas, who asked him to design a garden area in the place known as Font de la Magnèsia, for which Gaudí drew some sketches, but these have since been lost. Some workers from Park Güell then travelled to the town and the work was deemed finished in 1906. 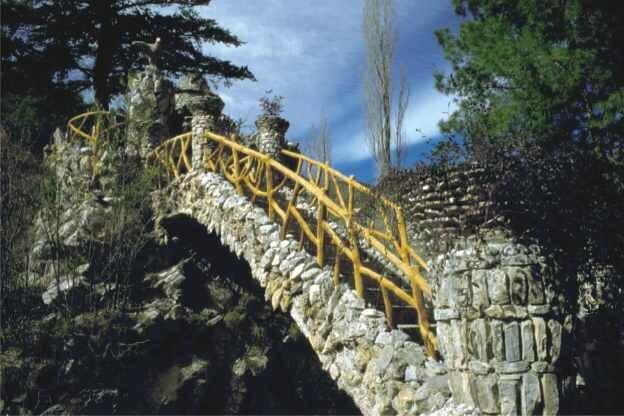 The Jardins Artigas were then abandoned and forgotten in the years following the Civil War, until La Pobla Town Council decided to restore and open them to the public. A charming small train now takes visitors to the gardens and also connects them with the neighbouring factory in Clot del Moro. The gardens share certain similarities with Park Güell, especially in terms of attempts to integrate them within the area's natural forms, conditions and climate. But a major difference is the abundance of water, with the leafy gardens following a gorge on both sides of the river. 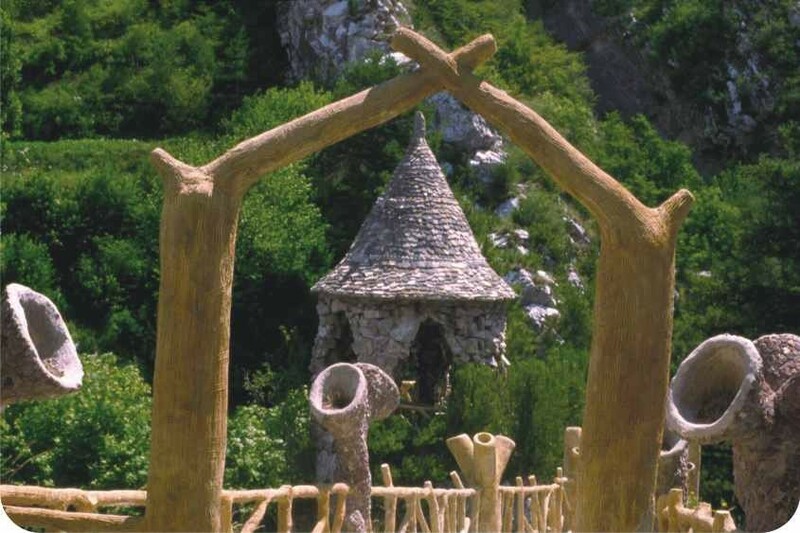 The bridges, arbours, railings, grotto and animal figures in the gardens, all made from diverse materials, such as uncut stone and trencadís, make them an imaginary and unique place.